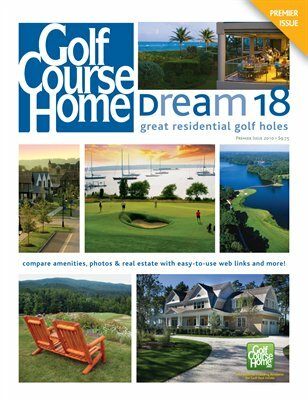 Welcome to the GolfCourseHome® Dream 18, a fantasy golf course created by selecting the best golf holes from the more than 325 golf courses featured on GolfCourseHome.net representing more than 5,800 golf holes in the U.S., Canada, Mexico and the Caribbean. It is truly a unique collection. You’ll find on each of the 18, two-page spreads vivid photography, information about real estate, pricing, amenities, contact info and more. These wonderful layouts represent the best in golf and golf course living. Enjoy!